The river offers the opportunity to fish for local fish species, take a canoe ride or cool off in the shallows. A picnic area next to the weir on the banks of the river features a public BBQ, rotunda and toilets. 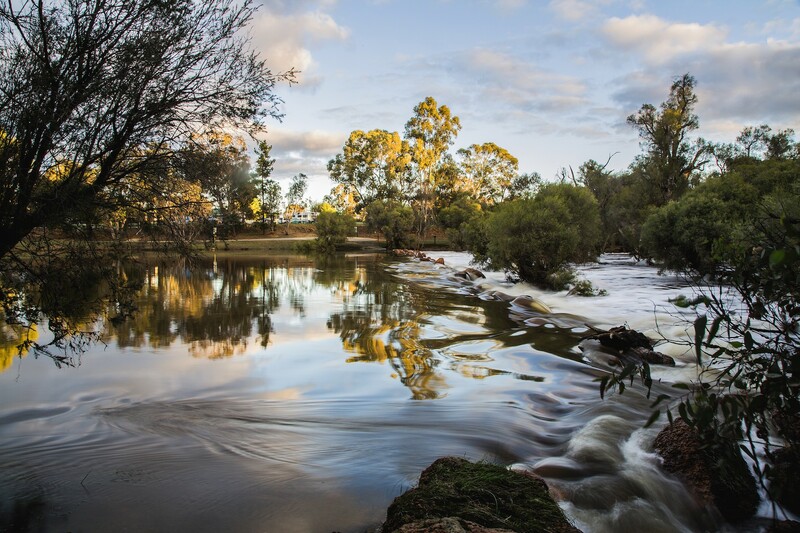 Lions Weir is a delightful spot to relax where the river has been dammed creating the 'Lions Weir' in the Hotham River and making it a year round haven for water birds and fish. A fish ladder (series of rock pools) has been built adjoining and up to the top of the weir wall to enable fish to swim upstream in the spawning season.